Written by Gregory on Jan. 16, 2019 in Development, Retrospective. Last update on Jan. 17, 2019 . Written by Gregory on July 11, 2017 in Retrospective. 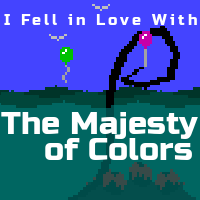 Our upcoming remastered release, "(I Fell in Love With) The Majesty of Colors)", has a long history already. Here are a few links chronicling interesting events in the game's life! Last update on July 13, 2017 . Written by Melissa on April 10, 2017 in Business, Retrospective. Our plan for the last few years has been to work on multiple projects at once. When Gregory worked full time on Future Proof projects, this kept them from feeling drained working on the same thing day in and day out. Now that we're both indefinitely part time, however, we're finding it near-impossible. Our 2017 plans seemed reasonable. They were in line with what we've tried to do in the last couple of years, but incorporating the data from previous years: actual dev time for new Exploit: Zero Day story jobs, actual time needed for marketing, conference schedules, etc. With that in mind, we set ourselves up to work on two high intensity projects and a low-key one: EZD, Majesty of Colors, and Rosette LARP, respectively. Written by Gregory on April 22, 2015 in News, Retrospective. We're not sure how Ossuary got Greenlit. Last update on April 22, 2015 . Written by Gregory on April 8, 2015 in News, Retrospective. Our creepy-funny adventure Ossuary has now been in the Steam Greenlight program for a year. It's frustrating and demoralizing, and we're sharing some details about our experience. Whether you are in Greenlight right now, are considering it, or just buy games on Steam, it's good to know what the process is like. 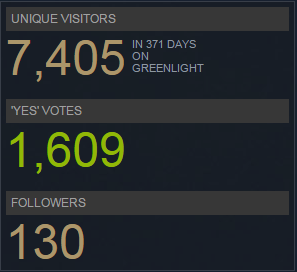 One year in, and we're 84% of the way to the top 100. Last update on April 8, 2015 . 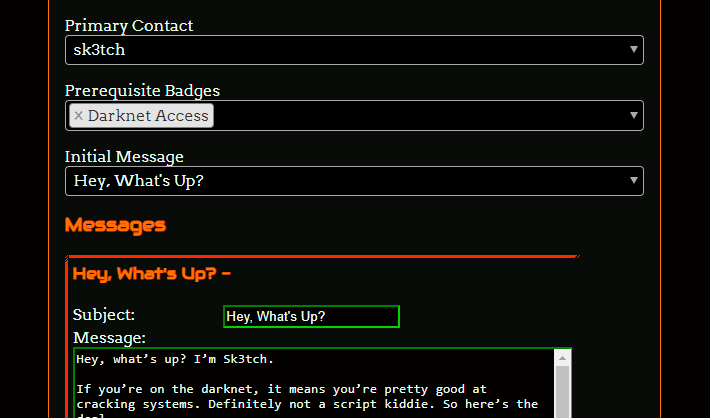 Written by Gregory on Nov. 24, 2014 in Development, News, Retrospective. Hello! Gregory here. Almost a year ago we released our dark, funny, satirical game Ossuary. It's a story about descending into a static underworld, talking to the people there, and corrupting them with sins that are really virtues. Last update on Nov. 24, 2014 . Written by Melissa on Nov. 17, 2014 in Retrospective. Both of us attended GDC Next 2014 November 3-4. It was a cozy conference, focusing primarily on non-development topics: marketing, social media, business development. Both of us feel pretty lacking in these areas, and so eagerly hopped on too-early flights to attend. Last update on Nov. 17, 2014 .